Hopefully everyone has been enjoying the clear albeit persistently brisk waters. On Sat., Aug 23, for anyone who is interested, we’ll be meeting at 7:00 am at Black Rock Beach, which is at the end of Forrest Ave where it intersects Jerusalem. Let me know if you are interested. There are a two options. One is to swim from Black Rock to the beach below St. Joseph’s retreat and back (1.75 miles round trip) or Black Rock to Sandy Beach and back (3 miles round trip). For sunday, it’s the usual swim, only due to popular demand, we’re going to move the swim up by 30 minutes leaving at 7:30 am instead of the usual 8:00. Memorial day weekend swims are upon us. Sunday we’ll be meeting at the same time and place and Monday we’ll meet at 7:30, to avoid the crows and to make sure we have enough time to get off to our other Memorial Day festivities. Monday is supposed to be a beautiful, warm and clear day. 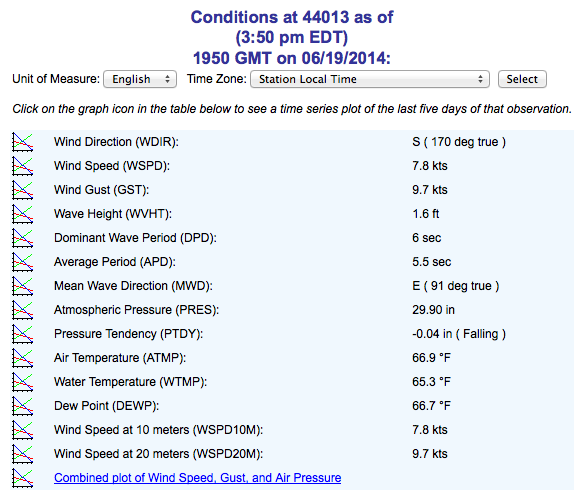 I know it’s hard to believe but the waters really are warming up and getting quite comfortable. 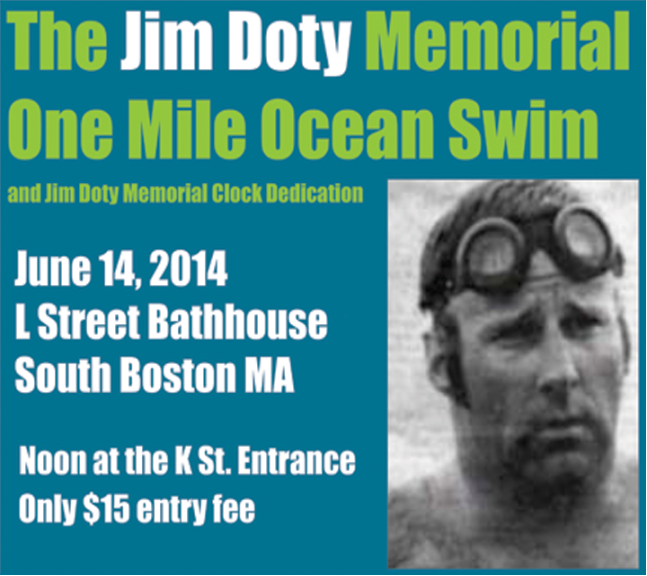 Importantly, save the date for the James Doty One Mile Memorial Swim on Sat. June 14 from the L Street Bath House. 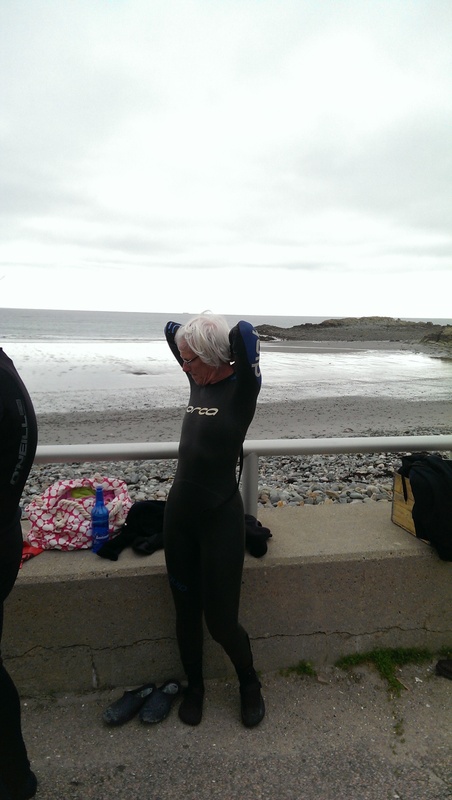 As many of you know, Jim is an iconic swim figure for the Boston area who was instrumental in restarting the Boston Light Swim and in forming the New England Marathon Swimming Association (NEMSA). Great turnout on a day when the ocean was maybe 50 degrees. I apologize for predicting it to be 55 degrees. Needless to say it stung more than a bit upon entry to the water. Once we were in however, there was a smooth oncoming swell that enticed just a few of us to body surf and frolic about in the waves. And best of all the clouds parted for a beautiful morning as we returned to shore. It was really a pleasure seeing everyone back at it again and the pictures below say it all. 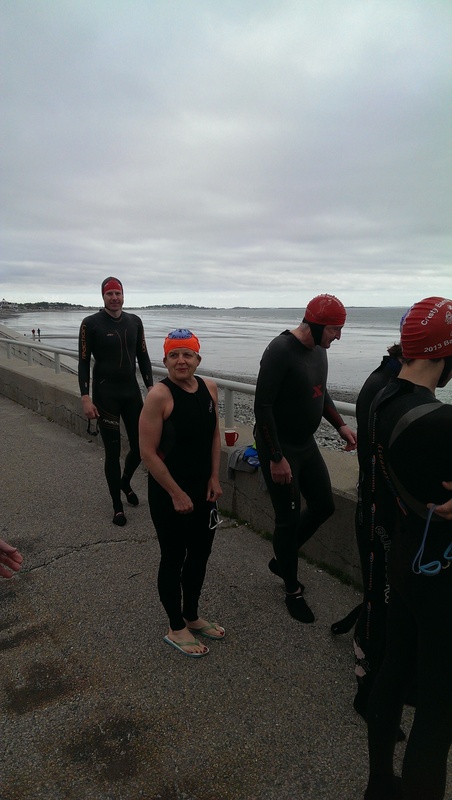 Same time (Sunday 8:00 am) and place (first entrance to Nantasket Beach) next week. More details to follow on the Memorial Day Swim, but given the likely parking issues that morning, the expected beach crowds and the many other commitments and BBQs we may have, we plan to meet at 7:30 am (which means well be in the water just before 8am). Enjoy the week. 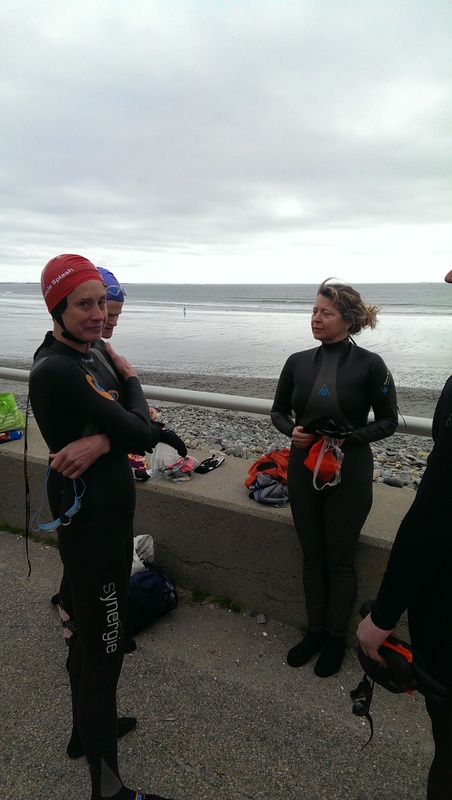 The ocean temp is nearing 50 degrees, which means it is time to get back in the water, or time to congratulate those of you who never got out (Helen, Ted, and others). 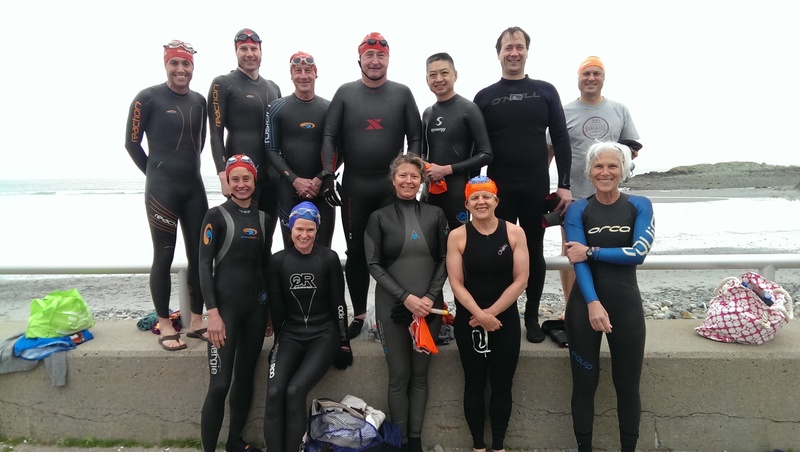 While I’m sure there will be swimmers out at Nantasket starting this Sunday at 8am (all are welcome), the regular swims are returning Sunday, May 18, at 8:00 from the same place in Nantasket Beach. If you need directions or have questions, feel free to email me. It’s been an exceedingly long and cold winter so it’ll feel good to get out of the pool and back to the expansive Mass. Bay.